We left Guatemala feeling like we had barely scratched the surface, concerned that we had left too soon and that the remainder of the trip wouldn't measure up. 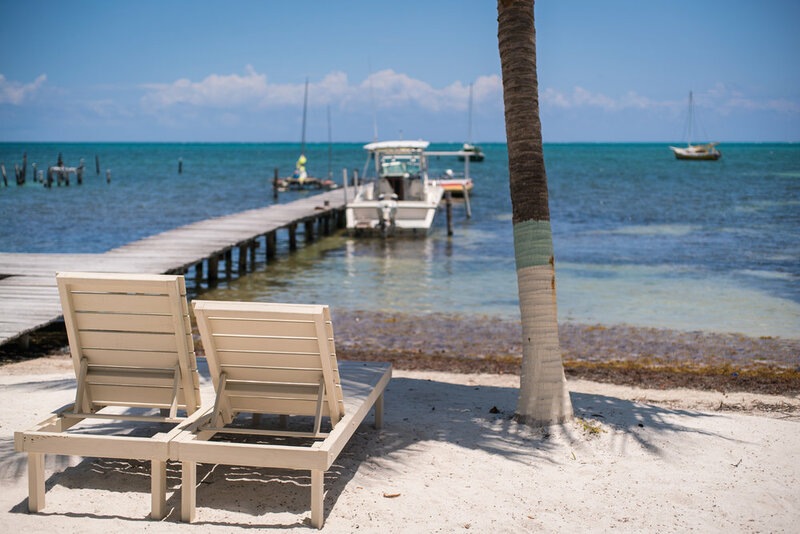 While the second half of our trip was devoid of fiery volcanoes, long hikes and small town adventures, Belize and Mexico delivered to us a healthy dose of sun, white sand beaches and exquisitely warm turquoise water. Sometimes dropping all your plans and doing absolutely nothing is exactly what you need. We began our foray into Belize with a 5am bus ride out of Flores and a tedious wait at the border tempered by the company of a chatty and charismatic American named Sam. 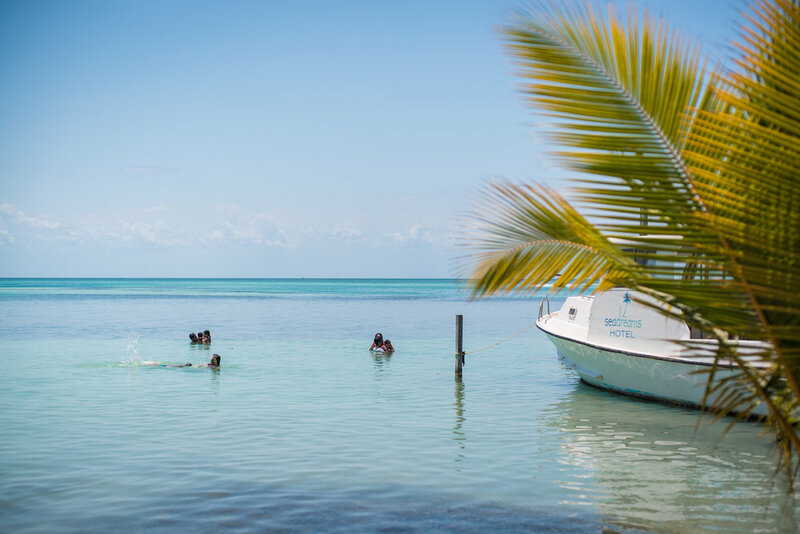 A short boat ride from the smothering heat of Belize City is the impossibly charming Caye Caulker. A sand spit of an island that is dotted with every tropical island trope you can think of in the best way possible. 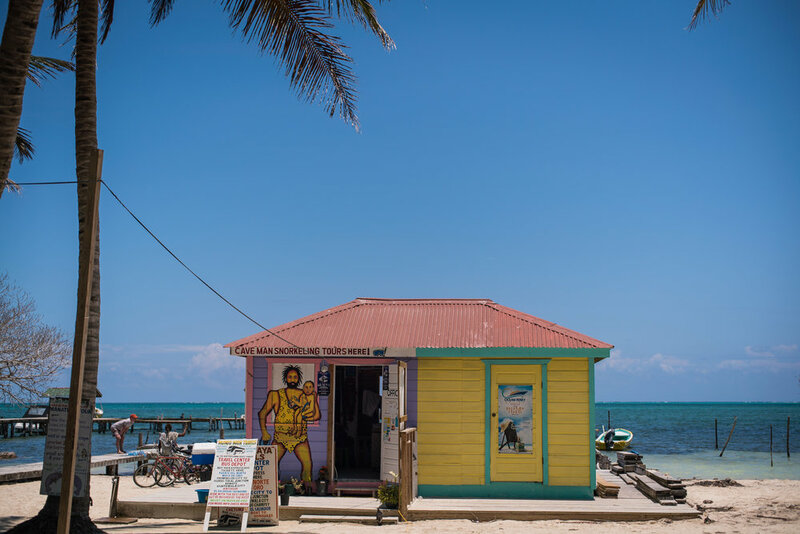 Palm trees, colourful huts, sailboats, white-sand and no traffic save for the bicycles and golf-carts that cruise by, dutifully following the island mantra of “go slow”. 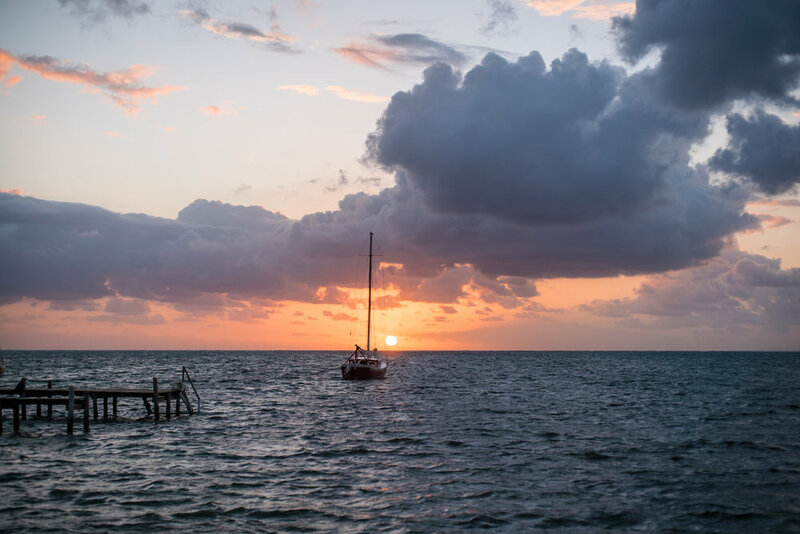 While our experience of Belizean culture was limited to the small island, what we saw was a cheerfully diverse mix of Creole, Spanish, Caribbean and British culture. 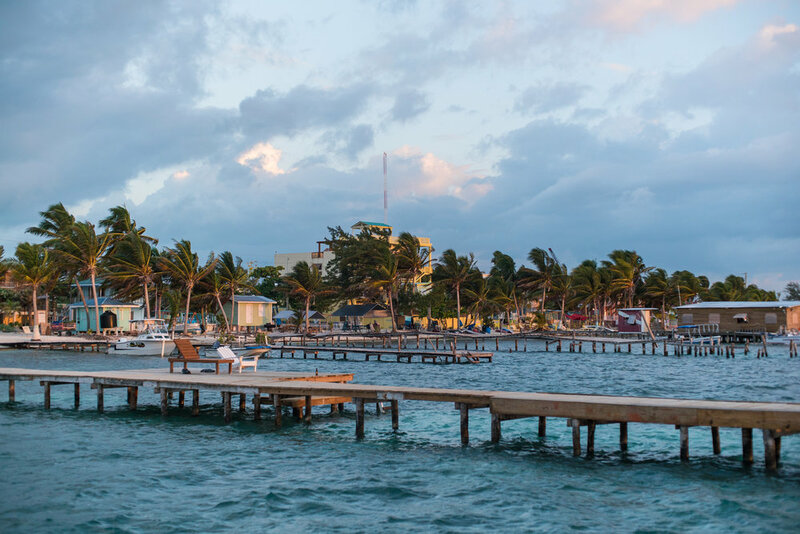 Home to a flourishing barrier reef, Belize is also incredibly ecologically diverse. 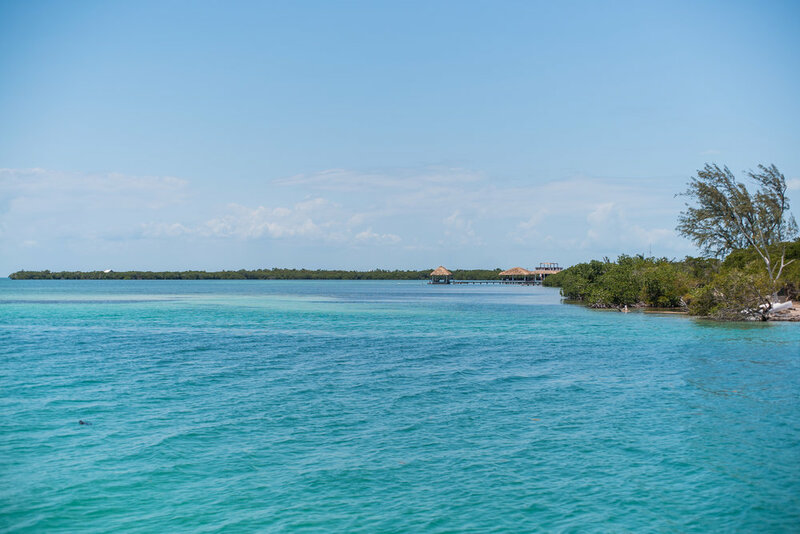 We opted to take a snorkelling tour of the reef and during the 8-hour excursion we saw turtles, nurse sharks, schools of tropical fish and a seemingly infinite amount of conch shells. The majority of our stay was spent embracing the relaxed attitude of the island: lazy walks around the spit, alternating between iced coffees and rum cocktails, sampling bbq from street vendors and paddle-boarding in the warm, shallow waters. 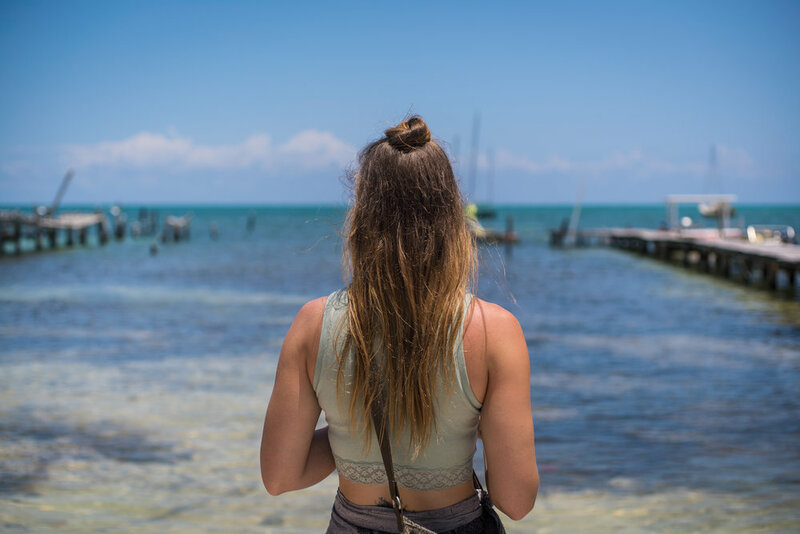 Unfortunately, our time on Caye Caulker was cut short by a shortage of housing over Easter weekend and faced with the prospect of nowhere to stay and the elevated cost of everything on the island we chose to move onto Mexico slightly earlier than anticipated. 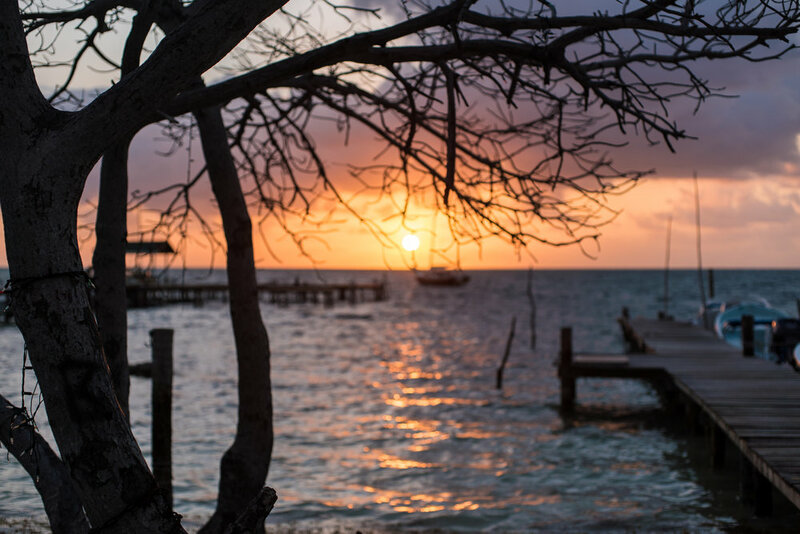 Until we meet again, Belize. Go slow. · D and Dee’s (nee – Terry’s BBQ): a humble roadside grill boasting the best barbequed meats on the island. 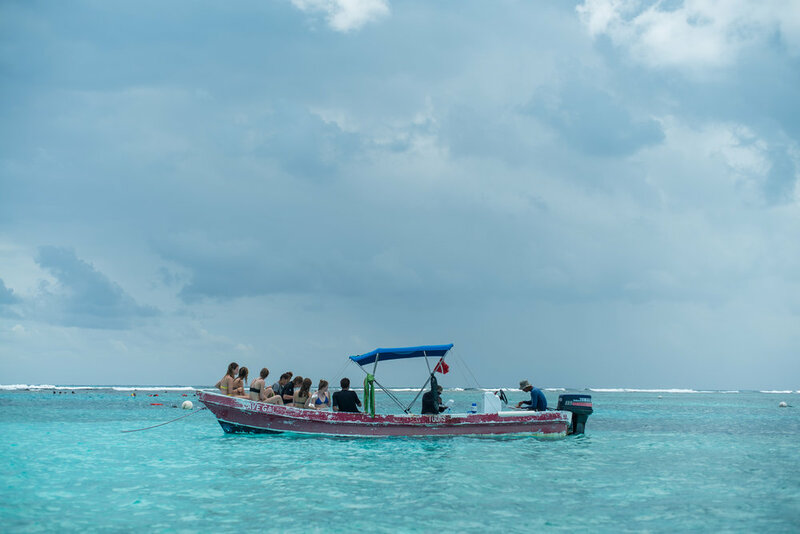 · Caveman Tours: this feel good company chartered our snorkeling tour complete with a charismatic guide who deeply loved the ocean and an excellent lunch. · Tropical waters: the perfectly warm water and the abundance of sea-life was just perfection. 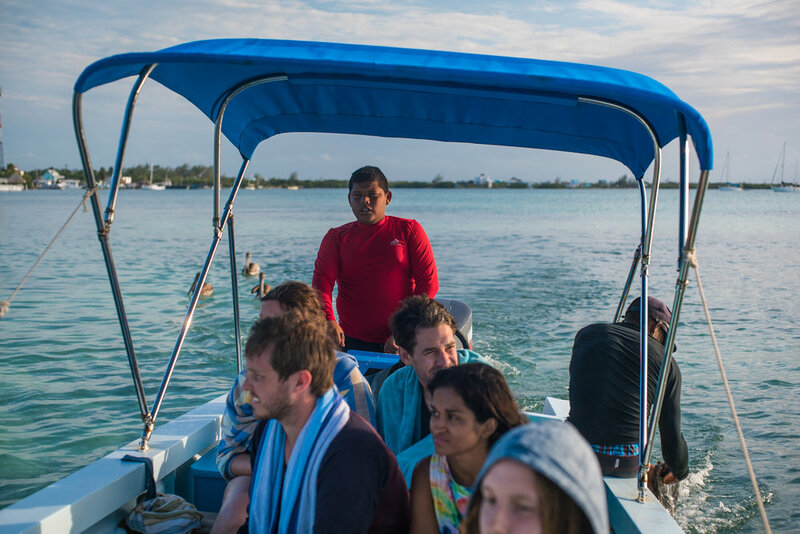 · Go Slow: just like, the general island vibe of Caye Caulker was so on point. We arrived in Mexico, earlier than planned with a plane ticket out of Cancun the following week and no discernible itinerary. Both of us had traveled through Mexico previously and hadn’t factored in spending time there during this trip aside from catching a cheaper flight home. However, faced with a premature exodus from Belize, we both agreed that we wanted to spend the remainder of our trip at one of the most beautiful places along Yucatan Peninsula: Tulum. 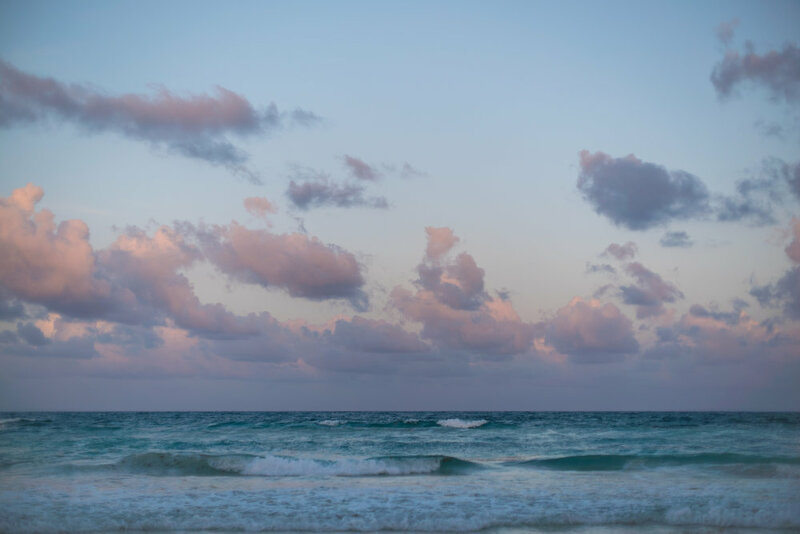 The two of us had visited Tulum almost ten years prior and recalled a sleepy seaside town, palm trees and stunning white-sand beaches. 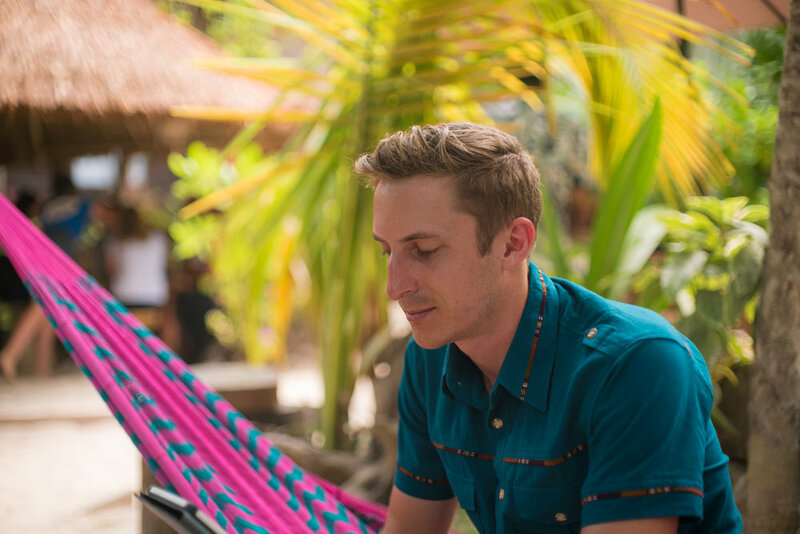 A quick scan of the hotel prices and Airbnb’s available gave us the feeling that Tulum had changed a great deal in the last decade. It had, and then some. The coastline has morphed from endless stretch of white sand to an eco-tourist haven packed with exclusive resorts that have mastered the hippy-chic aesthetic. 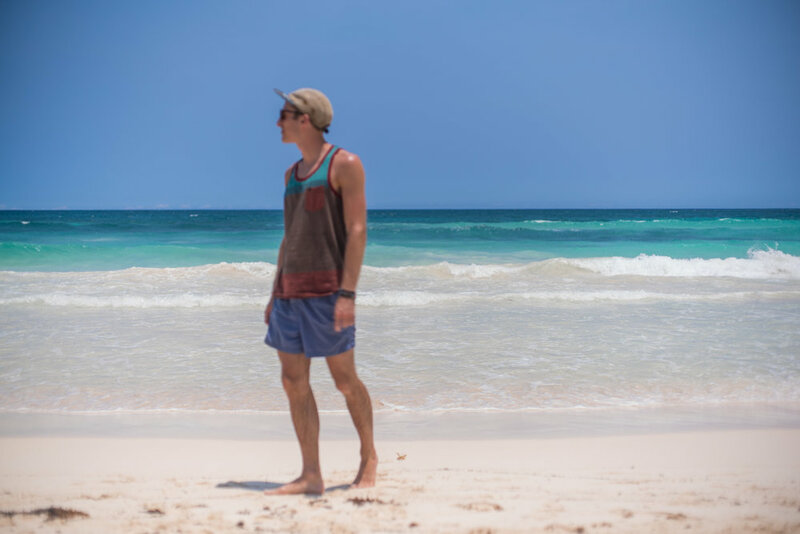 Our time spent in Tulum was an exercise in trying to not get caught up reminiscing on the past for it has the uncanny ability to leech the present moment of any charm . 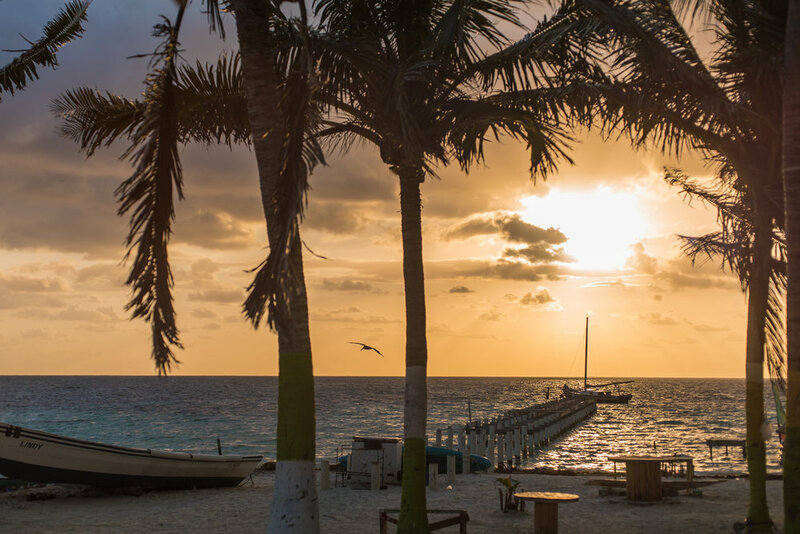 Mexico has tourism dialled in – the likelihood of discovering a cheap untouched tropical coastline is rapidly fading especially in “tourist friendly” countries such as Mexico. 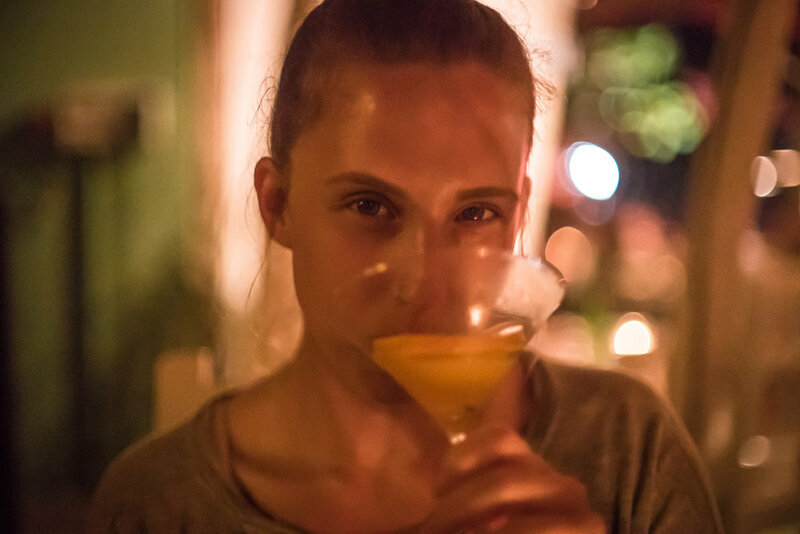 Understand that if you are looking to drop some $$$, eat delicious food and have every need catered to—while still feeling a touch more earthy and “authentic” than resort cities such as Cancun and Playa Del Carmen— then Tulum is still perfect. However, compared to ten years ago the amount of growth is incomprehensible. Despite our initial shock over the level of development and the horrifically fast speed that our wallets that began to empty at, we enjoyed ourselves immensely. Luck favoured us and we managed to score perhaps the only affordable Airbnb along the beach strip. Dropping all notions of being backpackers at this point, we allowed ourselves the vacation we secretly wanted all along. We spent our days embodying every beach vacation cliché and it was glorious. We rented bikes and leisurely cruised down the road (while dodging all the work vehicles racing down a road clearly not designed for this level of traffic), sated our hunger with smoothie bowls and cheap tacos and quenched our thirst with fresh coconuts and mojito's. 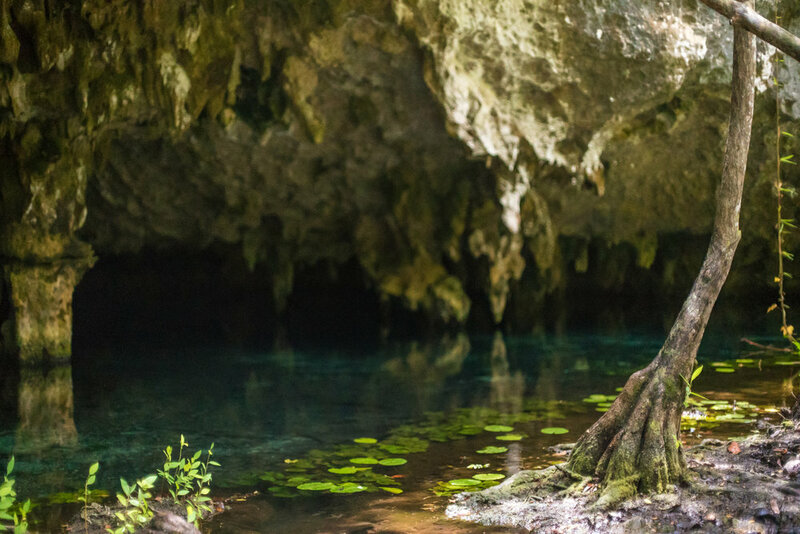 Only once did we challenge ourselves to an activity by donning wet suits and diving in the caverns of two fresh water cenotes. 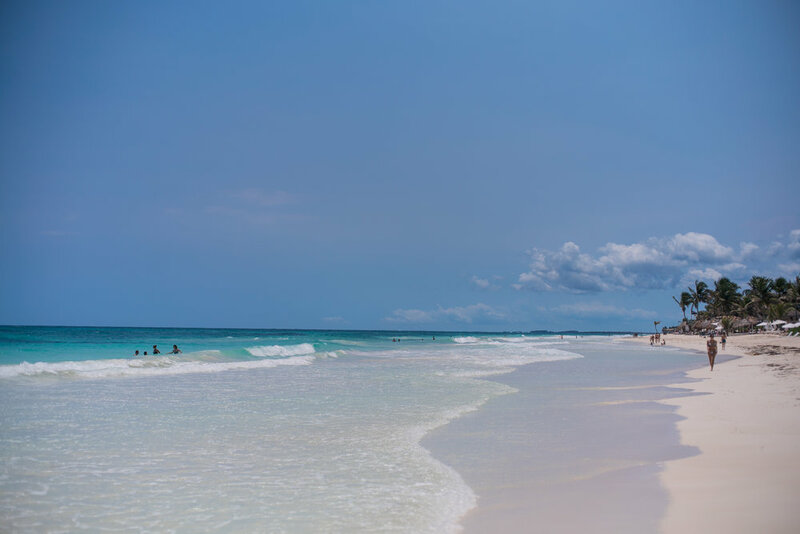 · Affordable cabanas: we were jazzed to score the one of the only budget-friendly and awesome Airbnb on the beach strip. 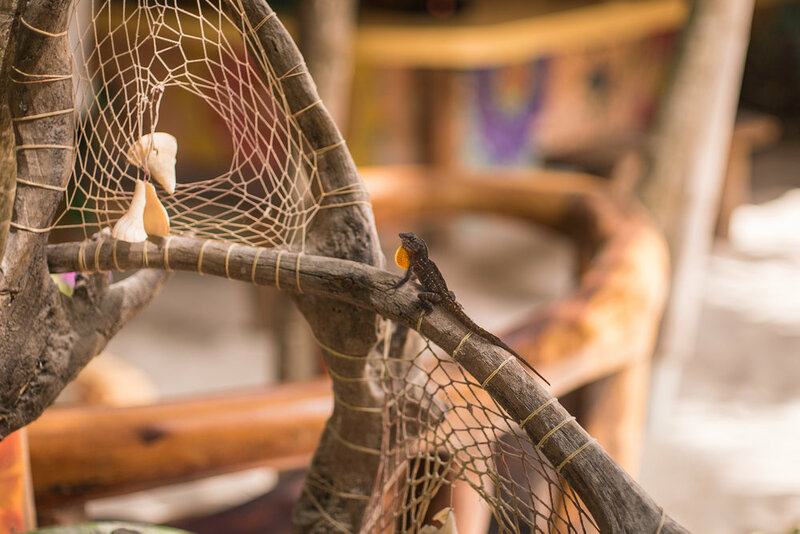 · Raw Love: a vegan restaurant dotted with hammocks and carved wooden tables. 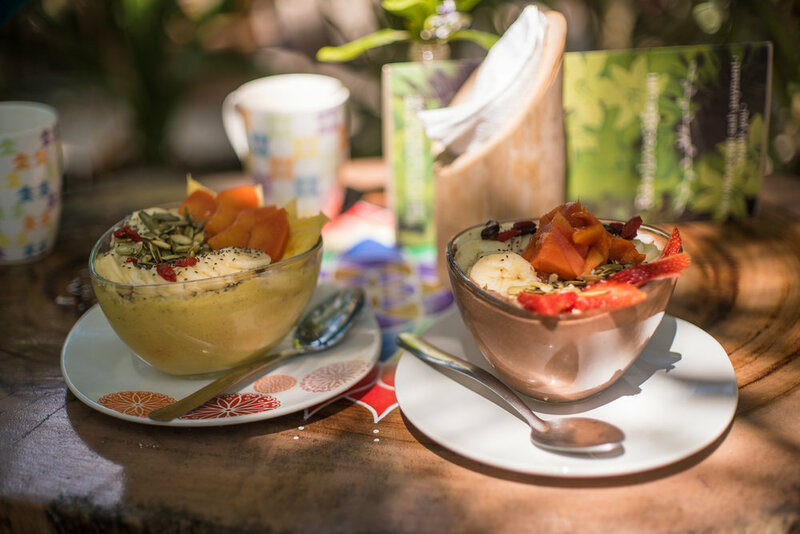 Our breakfasts often turned into all day affairs, reading from the hammocks and indulging in healthy food. 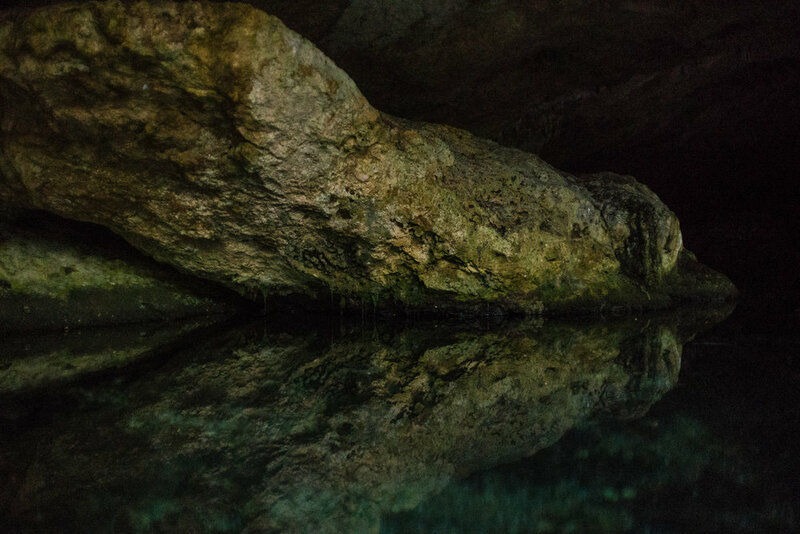 · Scuba-diving: diving in the fresh water cenotes was unlike any of our experiences ocean diving. 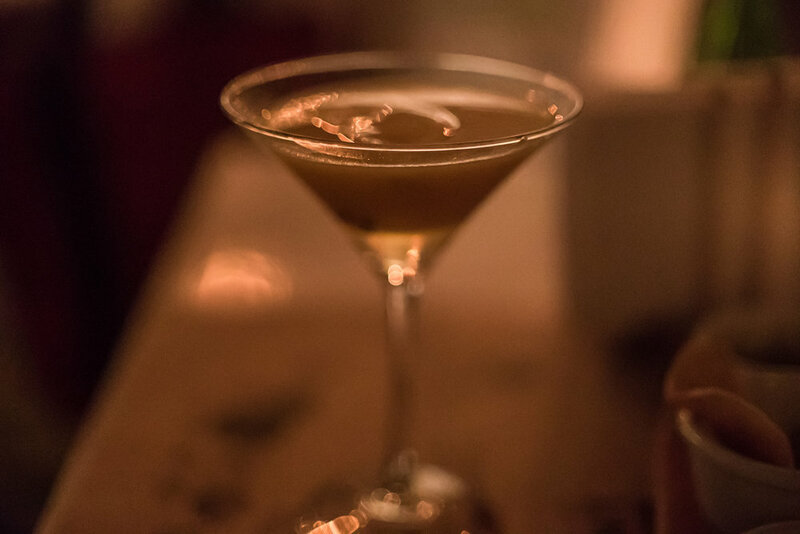 · Mojitos: we closed out our final night at a mojito bar that specialized in slanging fresh pressed sugar cane juice with a soulful blues band slaying in the background. On our final day we ventured out onto a surprisingly empty beach with cloudless skies and calmer waves. We spent an hour or so swimming in the warm water and saw the secluded paradise we had been seeking all along. Polishing off the dregs of a cold coconut water, we reflected on our adventures. Did we get lucky or unlucky with our timing? Can a perfect, budget-friendly and secluded beach even exist anymore with social media spreading the best of secrets across the globe? Conversely, would we even be able to find a perfect beach without using social media applications? Is it really possible to venture into a place and live simply, leave no trace, while still expecting the rewards of a tropical vacation? Warm showers, clean sheets, and cold drinks? This trip really brought into focus the duplicity in my thinking… What right do I have to demand an empty beach to myself, yet in the same breath shun the notion that I would either have to pay for access to a private beach or have to get my hands dirty to find a secluded location? The Tulums, Maya Bays and Waikiki’s will consistently be discovered and exploited. 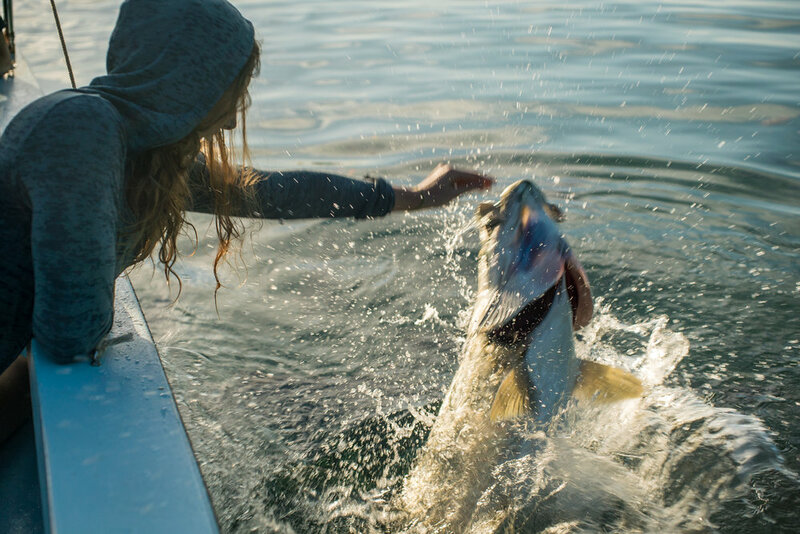 And for good reason – humans are always going to be seeking out beauty and relaxation. How can I make peace with this as an ecologically conscious traveler, who also at times has the unfortunate tendency to demand that my needs as a westerner be met? Food for thought on the next adventure.